When I started this blog one year ago, I planned to post once or twice a week and figured it would encourage me to check out films I'd been meaning to see for a long time. After a few months, I caught the bug and started posting a lot more often. What started as a casual hobby turned into a daily pursuit, and it's been a great experience. The best part has been interacting with so many friendly and smart fellow bloggers during the past year. It's been a remarkable first year, and I can't wait to do even more during the upcoming months. Inspired by watching Sunrise last week, I'm taking a shot with this Top 5 List at ranking my favorite films from the 1920s. Similar to my post about the 1930s last week, there are far too many great options to mention them all. Just missing this list were Chaplin's The Gold Rush and Murnau's Nosferatu. Let's check out the picks! This German Expressionist fantasy includes incredible set design that remains haunting more than 80 years later. The walls appear to be closing in on the characters, who match the creepiness of the environment. The eeriest figure is the somnambulist Cesare, who may be a murderer. 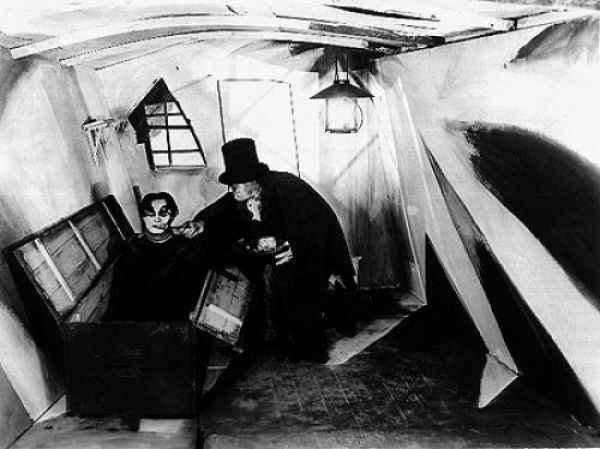 Along with its crazy sets, Dr. Caligari also employs a twist ending that wouldn't seem out of place in thrillers today. It's a must-see for any film lover interested in checking out the early days of both silent films and the horror genre. 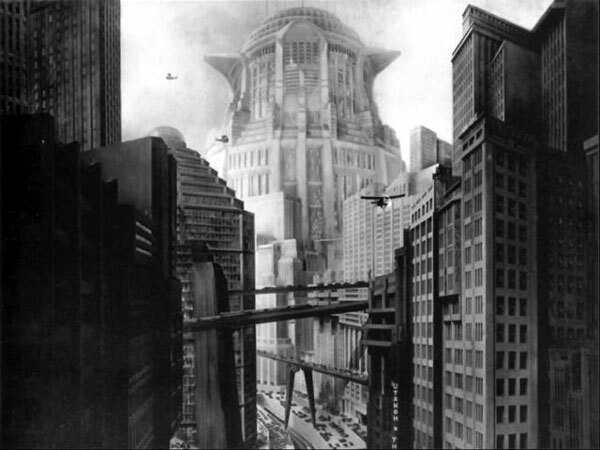 Fritz Lang's 1927 sci-fi classic remains highly influential today because of its ambitious scope and remarkable sets. The German expressionists could take over this entire list! Metropolis has a storied history with numerous restorations, including one from 1984 with a pop soundtrack. That's probably not the best choice if you're planning to watch it for the first time. Lang is one of the great early filmmakers, and his depiction of the oppressed working class remains stunning today. The art direction is more effective than many big-budget CGI pictures being released today, which is a testament to this film's achievements. 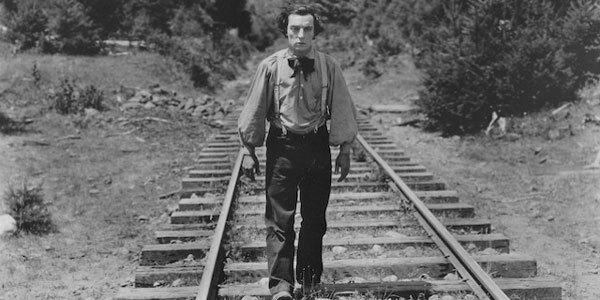 The common approach is to compare Buster Keaton to Charlie Chaplin, but their styles are so different that it's not really fair to either artist. Keaton's remarkable stunts work because they're seem effortless, even when the feats involve a fast-moving train. The General's well-known for the action scenes, but it also works because Keaton sells the story with his trademark deadpan expression. It's not a steady run of gags might surprise viewers expecting more of a straight-up comedy. Keaton goes beyond the cheap laughs and delivers a complete film that goes beyond its stunts and provides a highly entertaining story. A must-see for any burgeoning film expert, Sergei Eisenstein's classic film introduces the art of montage through inventive editing. It also includes the classic Odessa Steps sequence, with its out-of-control baby carriage (copied by Brian DePalma in The Untouchables) and a brutal massacre. The use of propaganda is masterful, particularly during the mutiny and eventual rebellion against the soldiers. If you're skeptical about watching a dry history lesson, there's no need to worry about this intriguing picture. Given its lofty reputation, it seemed impossible that Sunrise could live up to the major hype. Amazingly, it surpassed my expectations and was even better than I expected. F.W. Murnau uses an unpredictable, visually stunning approach that reveals the unlimited potential of silent films. He deftly superimposes images and tells the convincing story with minimal title cards. 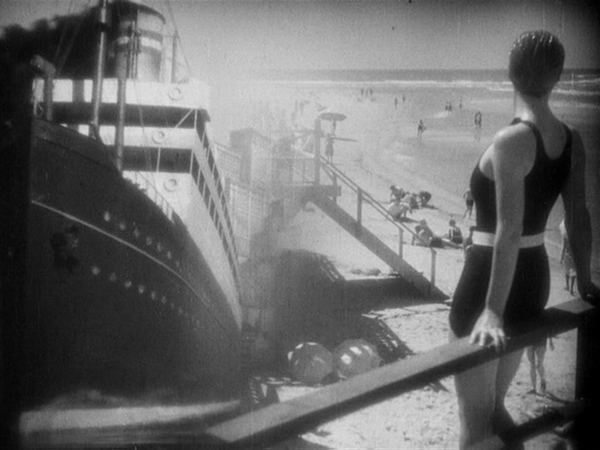 It's a highly symbolic story with fairly thin characters, but Murnau's unique style and the imposing sets make for a classic film. When I was developing this list, there was one slot that wasn't a hard choice. This emotionally draining movie doesn't show us Joan of Arc during her moments of triumph. Instead, we're forced to endure each stage of her trial and torture by the rigid English authorities. Carl Theodor Dreyer employs close-ups that reveal all the emotions playing on Joan's face as she endures the devastating experience. This approach works because of the gripping performance from Renée Jeanne Falconetti, which ranks among the best of all time. She never hits a wrong note and sells every moment in Joan's downward spiral. Next week, I'll head into the fantasy world and begin my Once Upon a Time marathon. My first choice is Terry Gilliam's The Brothers Grimm, starring Matt Damon and Heath Ledger. Move it up! I don't have Netflix anymore, but when I did, movies at #50 just kept getting passed by other films and stayed right there. Thanks, Bill! If you haven't already, you really should check out Vertov's MAN WITH A MOVIE CAMERA (1929), Sjostrom's THE PHANTOM CARRIAGE (1921), and Badger's IT (1927). 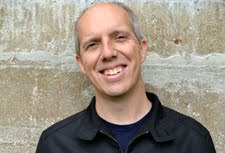 The Man with a Movie Camera is definitely on my list of films to see. I haven't heard much about the others, so I'll definitely take a look at checking them out. Thanks! I'm sorry to say I've only seen two of these (The General and Sunrise), both of which I really enjoyed. I can't wait to see the other 3! Kate, I really don't think you can go wrong with any of these movies. You should definitely take a break from all the TV shows and check them out. I have seen The General and Battleship Potemkin, both of which are absolute classics. I still can't believe the sheer brutality of the Odessa Steps sequence -- definitely not something I would have expected to see in a 1925 film! I included Metropolis in my latest project so I will be seeing that shortly, but I'll have to check out your top two choices as well. Nice post! Eric, you're right about the brutality of the Odessa Steps sequence, which remains very effective today. I'm glad you're going to check out Metropolis, which is something to see for sure. Thanks! I've seen all the films you mentioned, even the near misses and honorable mentions. I completely agree on your number 1. I would probably drop Sunrise from the list and replace it with The Gold Rush. Not that it's bad; it's just not a Top 5 of the entire decade for me. Even though The General is more ambitious in scope, Keaton's movie Our Hospitality made me laugh more. 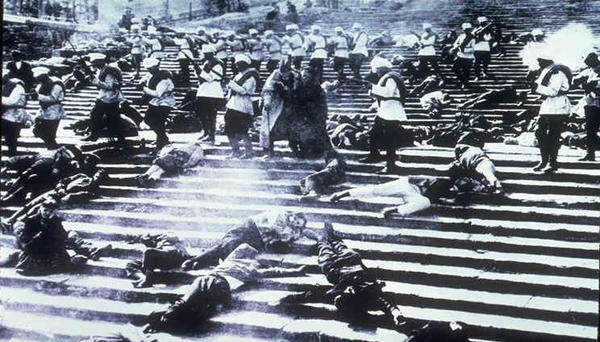 Now that I think about it, I'd probably drop Battleship Potemkin for Harold Lloyd's film Safety Last. I guess I like the silent comedies more than the silent dramas. Like the 30s list, though, naming only five is pretty much impossible. Chip, The Gold Rush was on my short list and just missed the final cut. I haven't seen Our Hospitality or Safety Last, but given who made each one, I expect they're worth checking out. Thanks! Ha... with these lists of only five movies, you're a glutton for punishment. I'd need at least ten. The Passion of Joan of Arc completely changed the way I look at silent film, and I'm forever indebted to it for that. Buñuel has two from the 20s that could make the list- Un Chien Andalou, and L'Age D'Or (I wouldn't put L'Age D'Or there but Un Chien Andalou would make my list). I'd definitely recommend checking out Safety Last and Keaton's Our Hospitality. And Keaton's Seven Chances (my personal favorite). And Keaton's Sherlock Jr. And Keaton's Go West. And Keaton's The Navigator. And Keaton's shorts from the 20s. And... well, you get the point. I'm a Keatonaholic. John, Un Chien Andalou is a great choice and just a stunning film. I have seen Sherlock Jr., which is excellent too. I still need to really go back and check out a lot of Keaton's work. You're right that I'm sticking my neck out with this list, but it's okay. I'm glad to get so many recommendations from doing it. Thanks! It's okay, Castor. There still are a ton of movies that I haven't seen across the board, so I'm right there with you. Yep, once again, your choices are excellent. 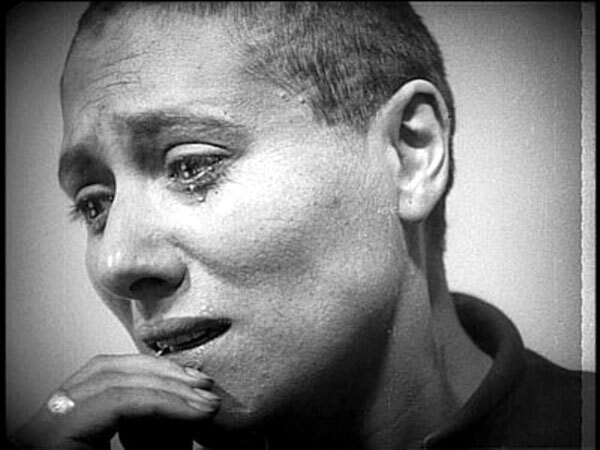 I'd probably go with Battleship Potemkin as my number one, but Passion of Joan of Arc... there's no arguing its power. Thanks Alex! Given the quality of these films, I think most of them (plus a few others) could be justified as #1. Battleship Potemkin is definitely worthy of the top spot.